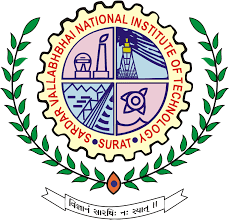 Sardar Vallabhbhai National Institute of Technology (SVNIT) has been Published Recruitment Notification for Various Post 2018. Other Details Like age Limit, Educational Qualification, Selection Process, Application Fee and How to Apply are given below. SVNIT Recruitment 2018 Job alert both Fresher and Experienced can get SVNIT recruitment 2018 updated on January 7, 2018 notification on recent SVNIT recruitment 2018 openings across India. This is an exclusive page updated on 07.01.2018 for the latest recruitment notification svnit.ac.in from Sardar Vallabhbhai National Institute of Technology SVNIT 2018 it contains both active and recently expired Job openings and recruitment notification from SVNIT 2018.
i. Eligibility: SVNIT offers 6 UG and 17 PG Programmes, Five Years Integrated M.Sc. Programmes in Applied Science (Physics, Chemistry & Mathematics) and Doctoral Programme(s) in Engineering & Applied Science & Humanities and is one of the leading NITS across the country. Professor Last Date to Apply: 16th February 2018 at 11:00 a.m. to 5:00 p.m.
3. Educational Qualification: The candidates seeking selection as Junior Research Fellow (JRF)/Project Assistant (PA) must possess M.Sc. in Chemistry or any other specialization in Chemistry from a recognized University with a minimum of 60% marks in aggregate. For JRF, candidates should have NET/valid GATE score card. Project employees may be allowed to register for Ph.D. programme of SVNIT provided they fulfil all the requirements prescribed by SVNIT. Age: The upper Age limit is 28 years (relaxable for 5 years for SC/ST/Physically Handicapped/Female candidates). The interested candidates may appear before the Selection Committee with all their original certificates, marks sheets with a self-attested photo copy of each of it and a recent passport size photograph along with Biodata. No TA/DA will be paid for attending the Walk-In-Interview. Venue: Chemical Engineering Department, SVNIT, Surat. Date & Time: 17/01/2018, 10.30 a.m. Junior Research Fellow/ Project Assistant Walk in Interview Date: 17/01/2018, 10.30 a.m.
i. Qualification: The candidate must have Master’s degree in Chemical Engineering or applied Engineering discipline with 60% aggregate or CGPA 6.5/10 at either Bachelor’s or Master’s or both. ii. Project titled Environmentally Safe Disposal of Refinery Sludges via Catalytic Conversion to Value-added Hydrocarbons. Selected Fellow will be paid Rs. 25,000 plus 20% HRA. Desirous candidates must personally remain present at 10:00 AM at this Department on January 8, 2018 with original and attested photocopy of testimonials at one’s own expense. Preference will be given to SC/ST/OBC candidate if found suitable as per the MHRD rules. Report to Dr. A. K. Jana upon reaching the venue. If any query, forward it at paparikh@ched.svnit.ac.in.